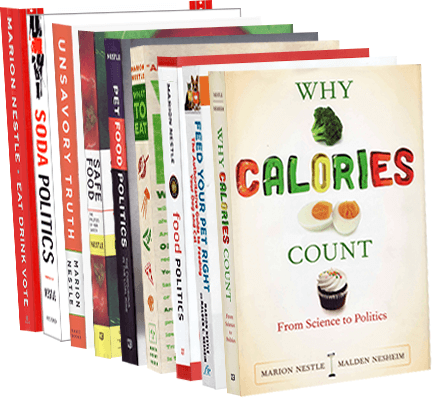 Food Politics by Marion Nestle » The collection continues: 5 more funded studies with results favoring the sponsor. The score: 130/12. Correction: 129/12. The collection continues: 5 more funded studies with results favoring the sponsor. The score: 130/12. Correction: 129/12. Correction: February 24. A reader points out that one of the studies posted here had already been posted on January 27 as an industry-negative. Apologies. Consider it deleted and change the count. Yesterday’s post was about a study funded by Disney. It brought the number of studies funded by companies with results favorable to the company to 125 since last March. I’ve only found 12 with unfavorable results. Today’s five raise the count to 130/12. The association between dietary saturated fatty acids and ischemic heart disease depends on the type and source of fatty acid in the European Prospective Investigation into Cancer and Nutrition–Netherlands cohort. Jaike Praagman, Joline WJ Beulens, Marjan Alssema, Peter L Zock, Anne J Wanders, Ivonne Sluijs, and Yvonne T van der Schouw. Am J Clin Nutr 2016; 103:356-365 doi:10.3945/ajcn.115.122671. I posted this study as industry-negative on January 27; it is listed here in error. Supported by RAISIO Nutrition LTD. Test products for the study were provided by RAISIO Nutrition LTD…RAISIO Nutrition LTD is a Finnish food company that is involved in life sciences and sells, among other products, the Benecol brand. RAISIO Nutrition LTD had no influence in the setup of the study or the interpretation of the results. None of the authors reported a conflict of interest related to the study. Conclusion: Results indicate that NC and LCB consumers tend to have higher quality diets compared with SSB or BB consumers and do not compensate for sugar or energy deficits by consuming more sugary foods. Conclusion: The present diarrheagenic E. coli challenge trial conducted in healthy adults indicates that a milk concentrate rich in natural, bioactive phospho- and sphingolipids from the MFGM may improve in vivo resistance to diarrheagenic E. coli. Author disclosures: SJ Ten Bruggencate, EG Floris-Vollenbroek, E Lucas-van de Bos, and E van Hoffen, no conflicts of interest. PD Frederiksen is an employee of Arla Foods Ingredients Group P/S (AFI, Denmark), which produces and markets Lacprodan MFGM-10, Lacprodan PL-20, and Capolac MM 0525 BG. SM Pedersen and PL Wejse are employees of Arla Foods amba (Denmark). The sponsor was involved in the writing of the manuscript. Comment: This is the first time I’ve seen a disclosure of the sponsor’s involvement in the writing of a manuscript. High marks to the Journal of Nutrition for insisting on this. A 9-mo randomized clinical trial comparing fat-substituted and fat-reduced diets in healthy obese men: the Ole Study. George A Bray, Jennifer C Lovejoy, Marlene Most-Windhauser, Steven R Smith, Julia Volaufova, Yvonne Denkins, Lilian de Jonge, Jennifer Rood, Michael Lefevre, Alison L Eldridge, and John C Peters. Am J Clin Nutr 2002;76: 928–34. Conclusion: Replacement of dietary fat with olestra reduces body weight and total body fat when compared with a 25%-fat diet or a control diet containing 33% fat. Supported in part by…the USDA and by the Procter & Gamble Co, Cincinnati.